Ultrasound can be used in both human and animal patients. Ultrasound waves (non-thermal) enhance the body's own inflammatory response to effect repair. Treatment is by a transmitting head, placed against the skin and aided by conductive gel. 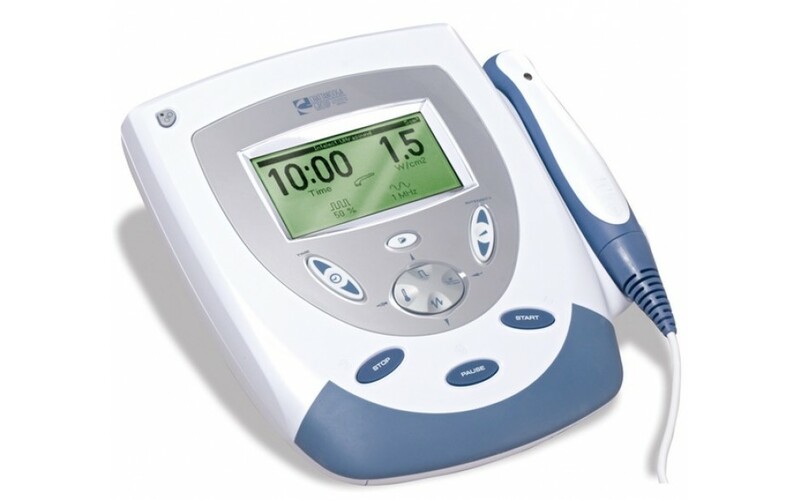 The transducer is then continuously moved as the ultrasound waves (as mechanical sound energy) causes cells to move rapidly (thousands of times per second), leading to accelerated repair. Generally, you should not feel any discomfort during your treatment. Ultrasound is useful in acute, sub-acute and chronic conditions (i.e. conditions that are recent or have been around for a while). This therapy is often useful for helping conditions that effect tendons and ligaments, but also aids muscle repair. There are some conditions for which ultrasound cannot be used (e.g. near eyes and testes, over pacemakers or metal implants). Please check with your therapist to determine suitability. Ultrasound is usually used in combination with other osteopathic treatment. Glenn Sontag has been trained in ultrasound treatment by manufacturer Trimbio, at The European School of Osteopathy, Kent.